When grazier Scobie Mackinnon married 1920s Hollywood silent screen actress, Claire Adams after meeting her in England following the Coronation of 1937 life at Mooramong homestead in Skipton Victoria was bound to change. Mooramong began its life under settler hands in 1838 when the squatting run was taken up by the Scottish immigrant Alexander Anderson and his two partners. By 1871 Anderson had sold off nearly two-thirds of the property the remaining acreage he decided to build a house on. Commissioned architects had designed and built the house by 1873 but Anderson only enjoyed Mooramong homestead for a few brief years. By 1889 he’d sold the holding and then the land changed hands again in the late 1920s to lawyer and racing identity L K S Mackinnon. Apparently Mr Mackinnon purchased it for his son Scobie as a 21st birthday present and fortunately the father’s faith in his son was not misplaced. Scobie became a successful sheep farmer. Claire Adams could be considered one of Scobie’s most notable accomplishments. Deemed one of Victoria’s most sought-after bachelor’s before his marriage Scobie was a fine rower and a good sheep man with a healthy bank balance while Claire’s career spanned 50 films. 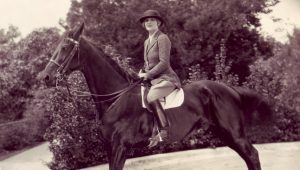 She was known for her roles in action movies in which she did her own stunt work on horses with some featuring the original Rin-Tin-Tin. 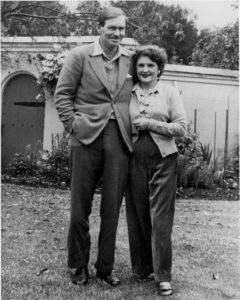 The couple returned to Victoria in 1938 and soon after her arrival Claire commissioned the Melbourne architect Marcus Martin to modernise the old homestead. The alterations didn’t change the external 19th century footprint of the homestead but the weatherboards were rendered and most of the original details were removed. Inside ceiling roses and other details were demolished to be replaced with streamlined art-deco Hollywood with green used extensively, the colour of the period. Outside a pool was reputedly hand dug by 16-18 men and was the largest in Victoria at the time. Jewels, furs and expensive cars. The introduction of a cocktail hour in rural Victoria. The conversion of a Rolls Royce into a utility for Scobie’s lambs. Life for the Mackinnon’s neighbours would never have been dull. But for all their flamboyance the Mackinnon’s contributed greatly to the war effort through fundraising. 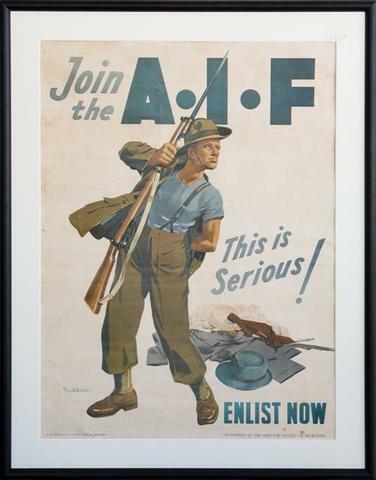 After the second world war about half of the farm was acquired under the Soldier Settlement scheme which assisted returning soldiers. One of these Soldier Settler’s hut remains on the property clearly demonstrating the spartan life that returning soldiers and their families occupied in the 1940s and ’50s. When the war was finally over, new fences and buildings including a woolshed and shearer’s quarters were constructed and Mooramong returned to normal. 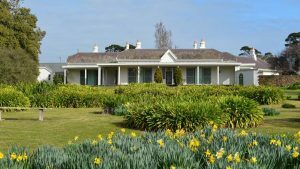 After the spartan war years the Mackinnons resumed their active social life, attending horse races and parties in Melbourne, but still spending a lot of time at their country property. Scobie continued to participate in the farming operations and Claire oversaw care of the gardens. Scobie died in 1974 and Claire in 1978. 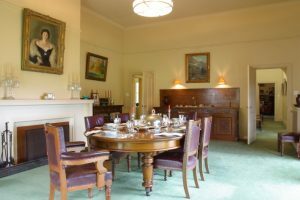 With no children the house and the bulk of their estate were bequeathed to the National Trust and the house remains largely as its owners left it, with many of the personal effects of the Mackinnons. In a nearby reserve a sample of the natural vegetation and habitat of the basalt plains of western Victoria as it would have existed before white settlement and grazing is gradually being reinstated. The National Trust holds open days at the property. 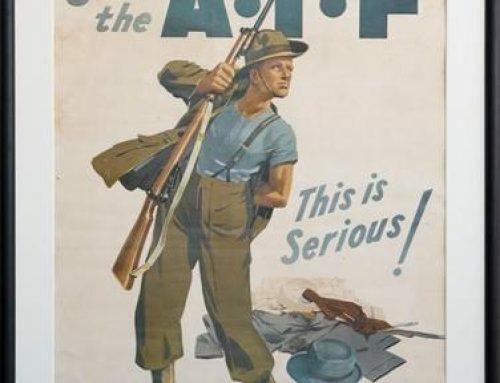 I am going to read more about. Yes, it’s a great story Elise.